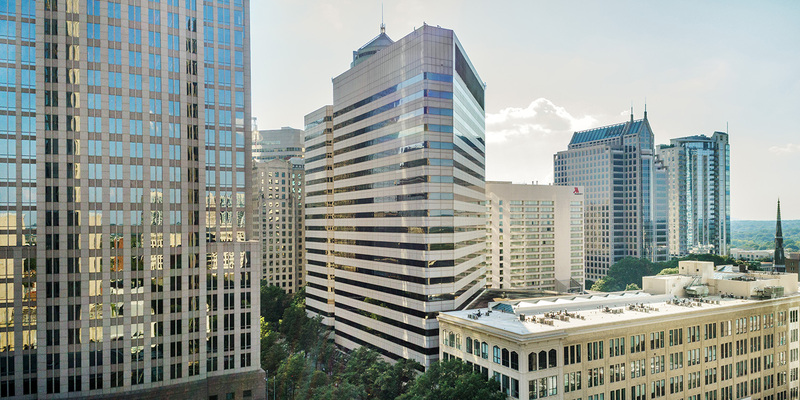 101 Independence Center is a 20-story, 565,694-square-foot Class A office tower situated in the center of The Square, the intersection of Trade and Tyron Streets in downtown Charlotte. 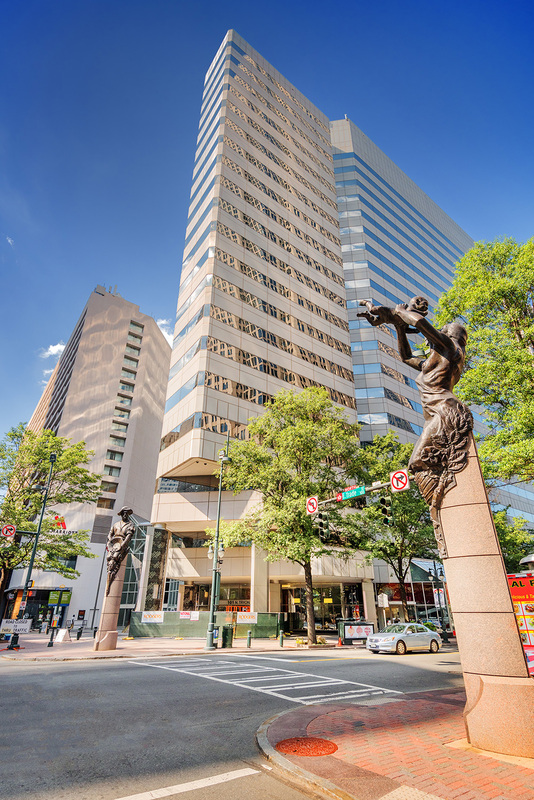 Situated on 1.83 acres at The Square, the intersection of Trade and Tyron Streets in the heart of downtown Charlotte. Conveniently located near the major interstates I-277, I-77 and I-85. 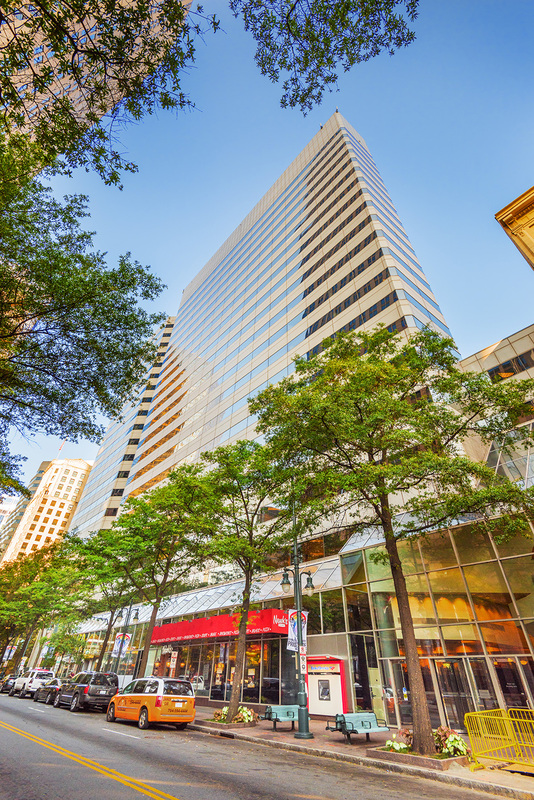 The 565,694-square-foot 20-story office tower housing both retail and commercial tenants. Tower features food court, restaurant and three-story atrium connecting it to the adjacent Charlotte Center City Marriott Hotel. Currently 82% occupied with key tenants including Bank of America, Northwestern University, Clifton Larson Allen LLPO, G4S Solutions, as well as retail tenants such as Newsk’s Eatery, Starbucks, Uptown Sundries, Subway, and Showmar’s. Three-story, 320-space underground parking garage provides sufficient parking and easy access to the tower in all weather conditions.